. . . Which brings me to the handling. 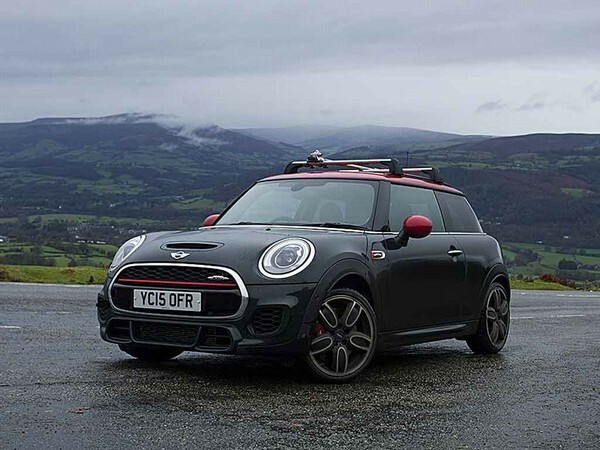 Frequently described as go-kart like, Mini has taken this cliche and run with it, to the point where selecting Sport mode brings up the reminder that you're unlocking 'Maximum Go Kart Fun'. Now, for me, go-kart handling evokes ideas of plentiful mechanical grip, direct steering and undiluted feedback. But sadly, where our JCW is concerned, these are not characteristics found in abundance. It lacks adhesion to the road, doesn't feel particularly agile and there's never a reassuring build-up of force before the front end begins to push on. The manual car we drove recently was much better in every respect, but having been unable to try some non-runflat tyres means we can only guess that this is the missing piece of the puzzle in the quest to unlock its full potential. . . .